A cop investigates the murder of his corrupt slain partner. Following on from Eli Roth's Knock Knock, this is the second time in a row we've witnessed Reeves and de Armas deliver impressive performances in an otherwise awful movie. Exposed really shouldn't be. To anyone. The Hong Kong filmmaker Godfrey Ho was notorious for a very specific brand of 'so bad they're great' martial arts movies back in the '80s. One of Ho's trademarks was to begin shooting a film only to have the production collapse halfway through. The resilient Ho would embark on another movie, only for it to also fall apart. Figuring 90 minutes of footage constituted a movie, Ho would then cut the two half-movies together into one incoherent, but wildly entertaining fever dream. 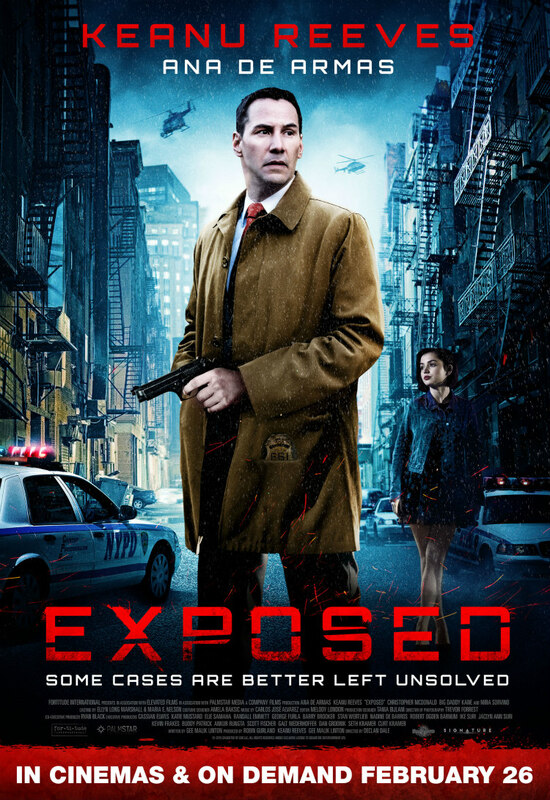 Exposed isn't constructed from two separate movies forced together, but it sure plays that way. Part bog standard cop thriller, part quasi-spiritual, surreal drama, Exposed presents us with wildly disparate plotlines that barely converge in any way that makes rational sense. 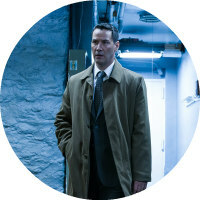 One of these follows Detective Scott Galban (Keanu Reeves) as he investigates the recent murder of his partner Joey, whose corrupt dealings with local New York drug dealers was well known to Galban and his superiors. Galban finds himself torn between bringing his partner's killer to justice - an act that would likely expose the truth about Joey's murky ways - and keeping his nose clean with his Lieutenant (Christopher McDonald), who warns him about bringing disrepute on the force. Complicating things further is the small matter of Galban conducting an affair with his dead partner's widow (Mira Sorvino). That sounds like it has the makings of a pretty interesting thriller, doesn't it? But here's the second plotline. Brace yourself. 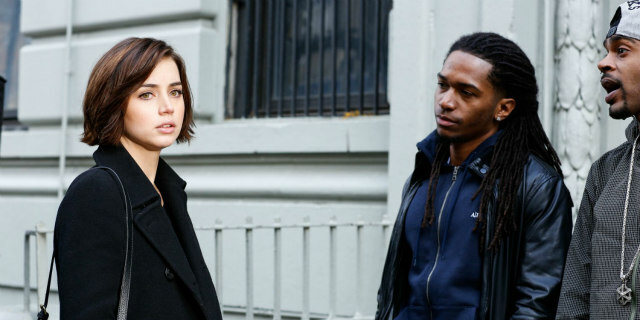 A young Dominican woman, Isabel (Ana de Armas), is waiting for her subway train one night when she witnesses an albino man walk off the platform and levitate above the rail line. (Cue record scratch) Wait, whaaat??? Believing the man was an angel, Isabel then begins to have visions of a white clad Lady Gaga lookalike around the city. And then she becomes pregnant through an immaculate conception! Okay then. Exposed is an absolute shambles of a film. You can't blame director Declan Dale though, because such a person doesn't exist; the moniker is an Alan Smithee type pseudonym. 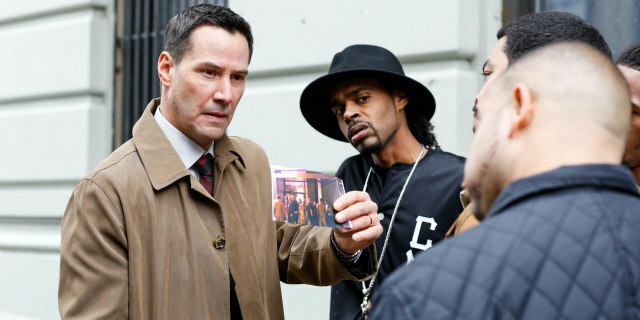 The film had been directed by Gee Malik Linton, but once the studio suits saw he was intent on handing over a slice of spiritual surrealism, they promptly locked him out of the editing suite and did their best to recut his movie into a Keanu Reeves crime thriller. They failed. So bad is the final result it was shown on a single screen in New York on its US 'run' earlier this year, and now it's receiving a similarly 'limited' run in London, while simultaneously being made available on video on demand platforms. You might think this has all the makings of a future cult movie, but The Room it ain't. We're denied the chance to laugh at any ineptitude because the film is technically well made and acted with conviction. 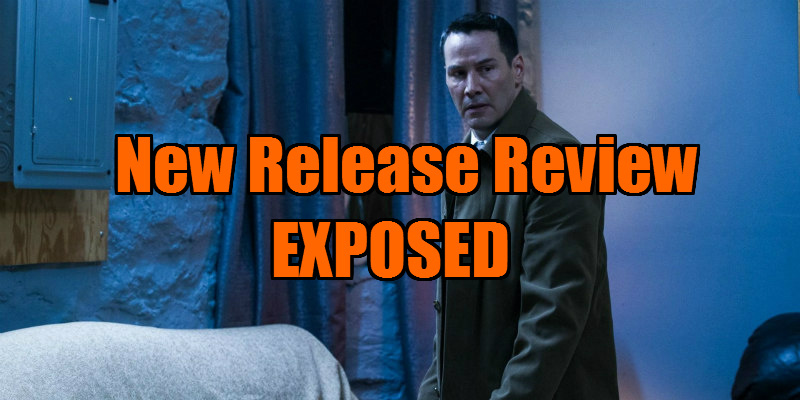 Following on from Eli Roth's Knock Knock, this is the second time in a row we've witnessed Reeves and de Armas deliver impressive performances in an otherwise awful movie. A scene in which McDonald delivers an allegorical story about ant farms is about the best we get in terms of ironic chuckles. Exposed really shouldn't be. To anyone.